The Catechism of the Catholic Church reminds us that “…the liturgy itself generates cultures and shapes them.” (CCC 1207) It should not be surprising, then, that even our games are influenced by Sacred Scripture and contain the vestiges of cultures’ myths and legends. Take, for instance, playing cards. This week I am at the beach enjoying some great family time down at the Outer Banks. Among our traditions is playing Hearts until the wee hours of the morning. As I was losing profoundly last night, my mind drifted off (to ease the pain of the game obviously) and remembered how our playing cards and Scripture intersected (don’t mock, we all have our defense mechanisms). 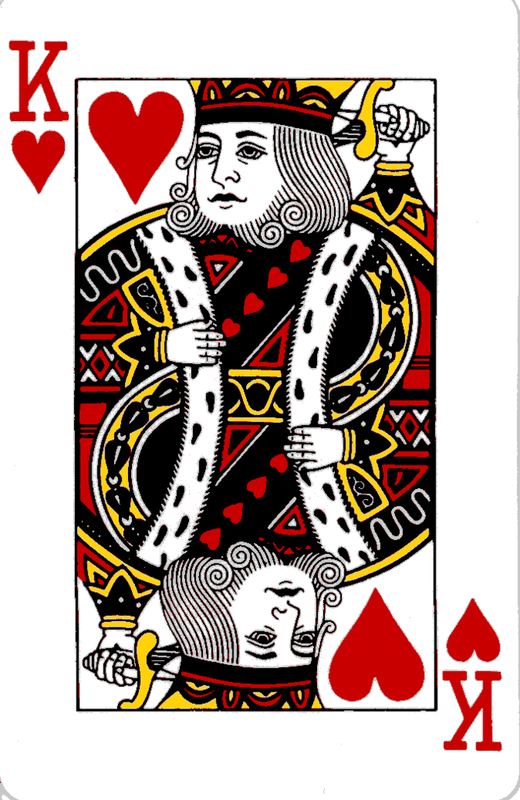 The king of spades is modeled after King David. On French cards, he holds a harp alluding to the Psalms, while on English cards, he carries the sword of Goliath, whom he slew. The queen of diamonds is Rachel, wife of Jacob, whose twelve sons founded the twelve tribes of Israel. The queen of spades is Pallas Athena, Greek goddess of war and wisdom (the Latin Miverna). The queen of clubs is Marie d’Amjou (at least according to tradition), wife of dauphin Charles VII. This entry was posted in Deacon Marques Silva. Bookmark the permalink.